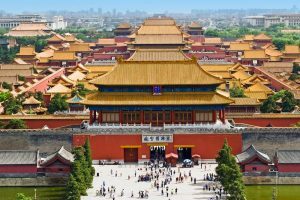 Backyard Travel, the online boutique tour operator specializing in insider tours throughout Asia, today announced an exhilarating China tour that showcases the country’s most iconic and unforgettable sights. From ancient cities in Beijing to futuristic skylines in Shanghai, this journey offers an insider’s perspective on China’s best-known destinations. Beginning in Beijing, the China’s Best and Brightest in 10 Days Tour starts with the most iconic sites of all – the Forbidden City and the Great Wall. Travelers enjoy private guided tours of the former and sit down for a picnic on the latter before heading on an overnight train to Xi’an for more exclusive adventures. In Xi’an, guests see the Terracotta Warriors and tour the ancient ramparts by bike before soaking in the atmosphere of bustling local night markets. The journey of highlights ends in Shanghai with a city tour in a vintage motorcycle sidecar, taking in the sights of the French Concession and the stylish Bund area.